Labor Day Weekend Delight!! – Eat, Drink, and Go! Staring down the possibility all week of being touched by hurricane Hermine’s outer edges, we were delighted that such didn’t happen. Instead, we had a gorgeous weekend!! 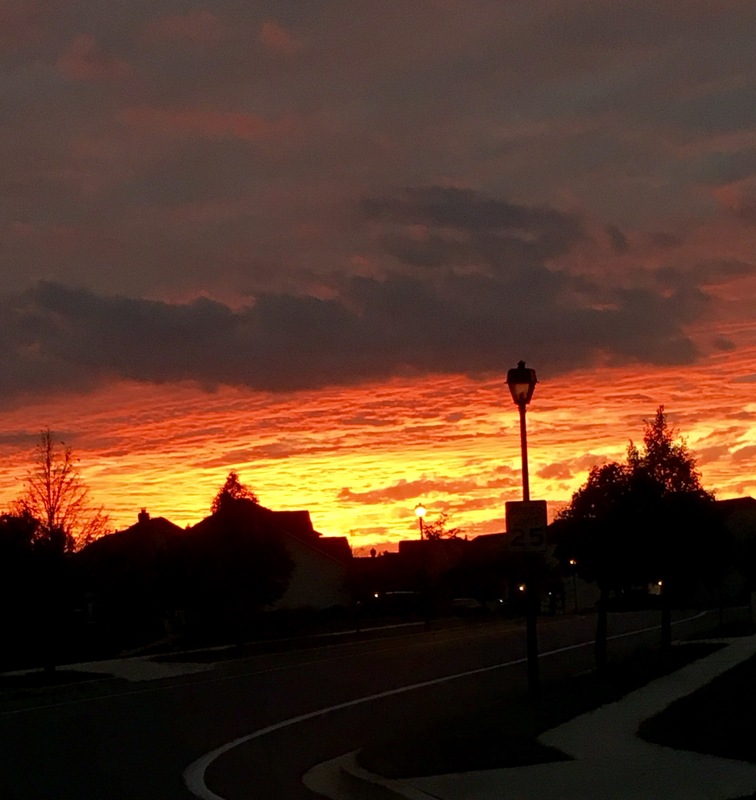 Starting things off with a lovely sunset Friday night, I knew it’d be a good time. We typically stay in town on this holiday weekend and invite those of our friends and fam also in town to come by for lots of food and drink!! My favorite kind of kitchen time is whenever I have plenty of it. I started prepping the day before our party with dry rubs on the huge pork shoulder I was fixin to slow cook and a dry rub on the chicken wings. The pork braised in a bath of chicken stock and Dr. Pepper for about 4 hours on a med/low light. Then, I pulled it apart and added BBQ sauce, whiskey and maple syrup. This was all the day before the party. 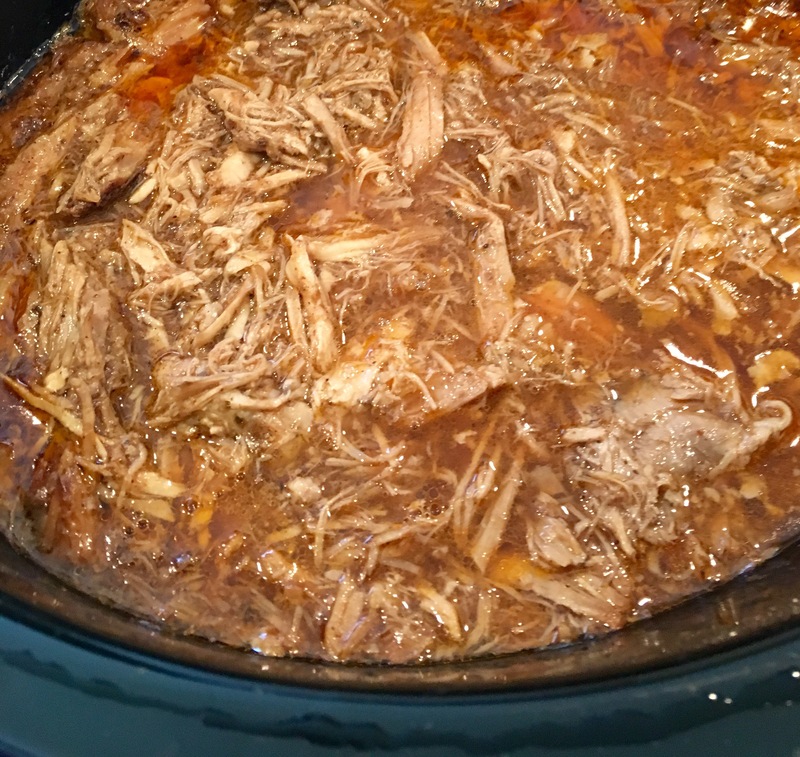 On the day of, I put it into the slow cooker and let it get really nice and happy with all its delightful flavors. I didn’t need to add anything else, just had to fight off family from devouring it during tastings because it was delicious!!! 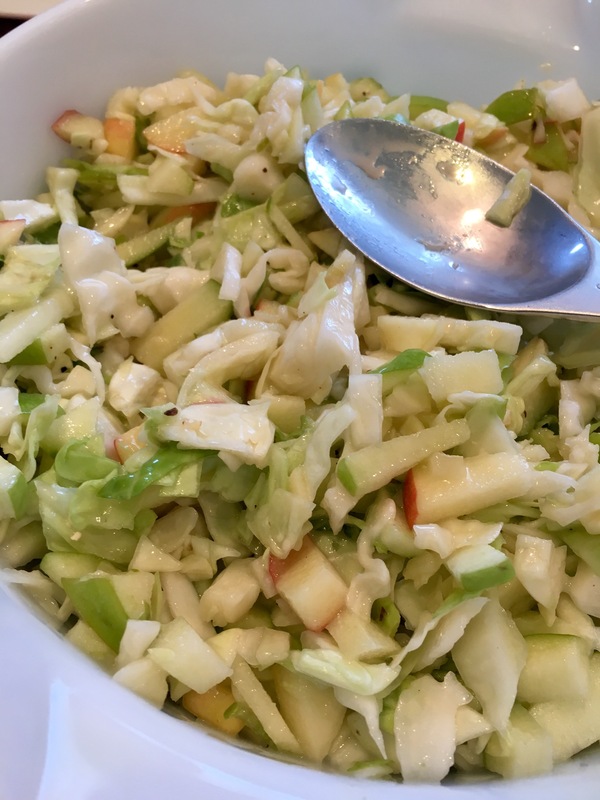 I made a cabbage and apple slaw to go with it, which also turned out pretty great. I sliced the cabbage and apples, tossed in maple balsamic, some blue cheese dressing, honey, salt and pepper. The pork and slaw combo was a HUGE hit. 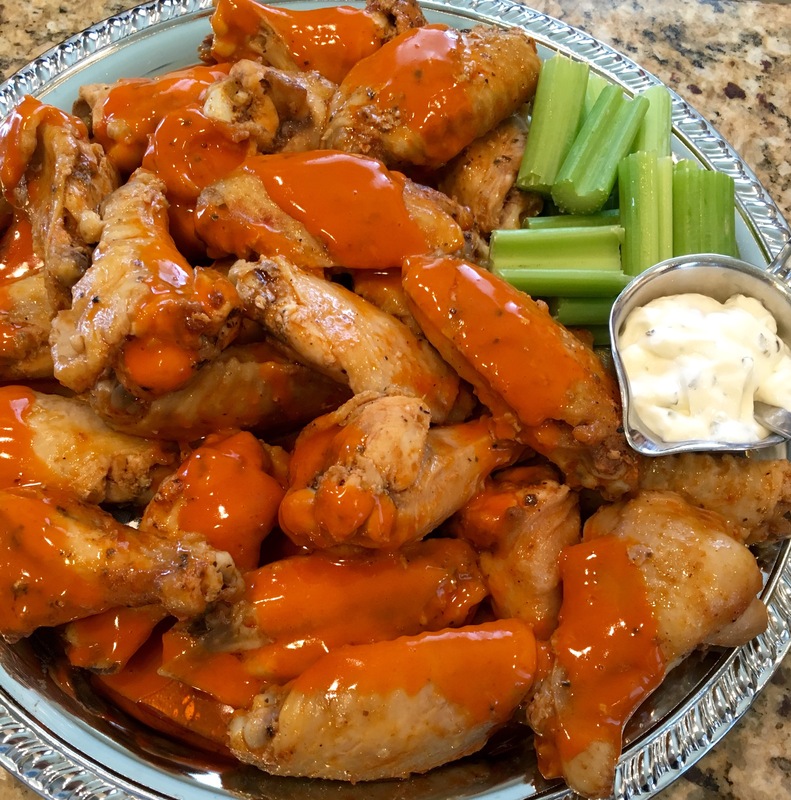 So we’re the wings, which I made two ways: one with Sweet Baby Ray’s Buffalo Wing Sauce and the other with an orange-ginger BBQ sauce from Olivier. I let the dry rub marinate the chicken overnight and then baked most of the way with the dry rub. When there was about 15 min left to cook, I tossed them with the sauces. I added a little more buffalo sauce on top because it is sooo good! So these were the primary proteins. 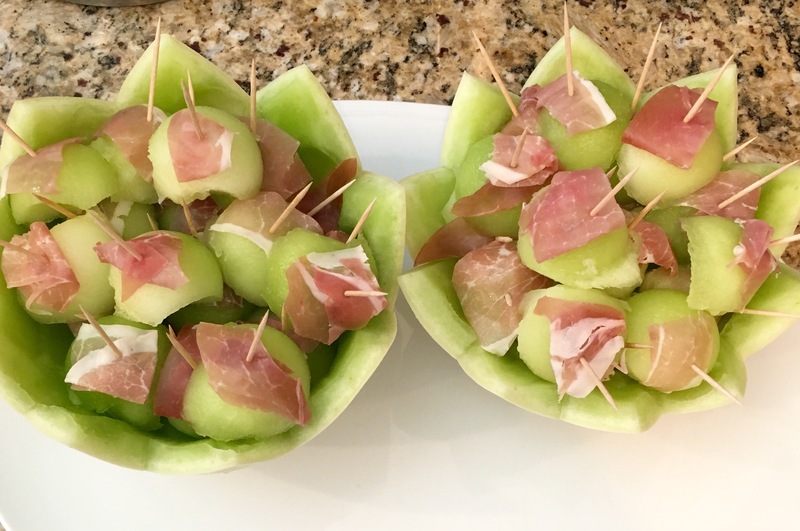 Of course, I made a family party favorite – prosciutto wrapped melon. I had the time to make it pretty, so after balling the melon, I returned it to the shell. This was so easy – much easier than carving a pumpkin!! Just made the little triangles on the melon rind with small cuts and ta-da! A simple but pretty presentation. 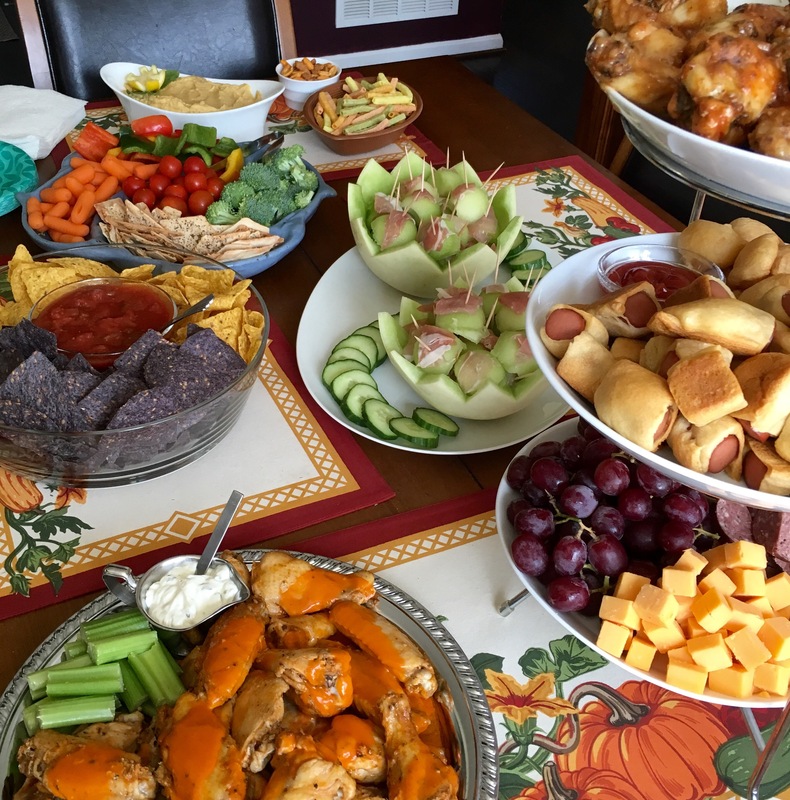 The spread was augmented with veggies and hummus, some simple pigs and blankets, cheeses, fruit, chips, and salmon dip. We had enough to feed an army. Or just a hungry bunch of friends and fam!!! And of course, there was plenty to drink. My favorite drink service piece is one we got a few years ago from Williams Sonoma. 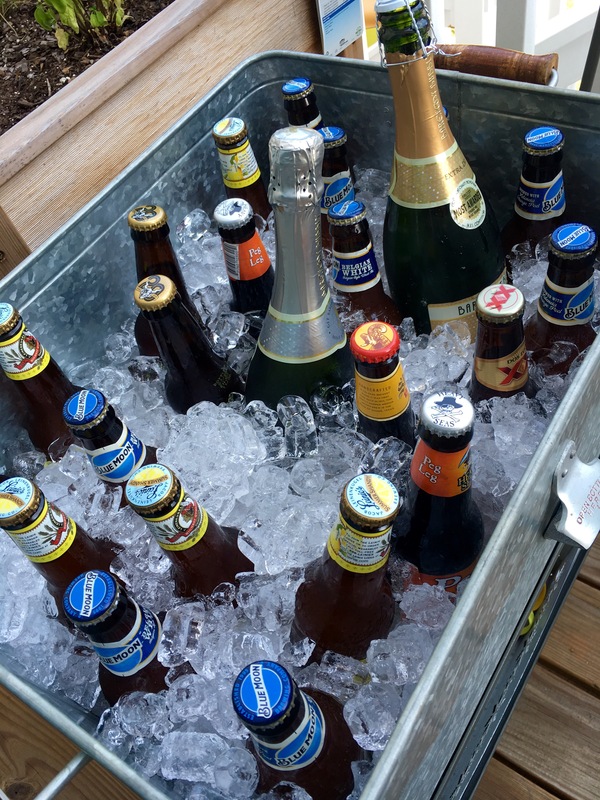 It holds a good amount of beverages, has a lower shelf, it’s on wheels, and…look!!! A built in bottle opener!!! Love it. Second time I’ve gotten to use it I believe, need to have more parties I suppose. And the weather was gorgeous!! Perfect for sittin and sipping outside and grazing on the good grub all day (and well into the evening!!) Hope everyone had a great Labor Day weekend!! I want to come to your house for dinner! YUM!!!! !